Today, at a press event presented by Haggar Clothing Company, the Naismith Memorial Basketball Hall of Fame announced the 12 honorees in the Class of 2019 to be celebrated September 5-7, 2019 during this year’s Enshrinement festivities in Springfield, Massachusetts. The Class Announcement was made in Minneapolis, Minnesota, the site of the 2019 NCAA Men’s Final Four and televised live on ESPN2. 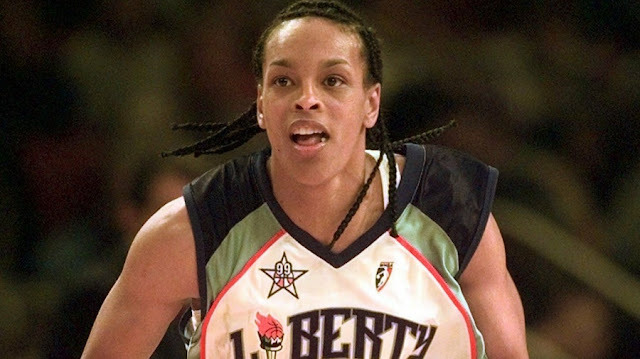 Weatherspoon is a five-time WNBA All-Star (1999-2003) and two-time WNBA Defensive Player of the Year (1997, 1998). Recognized as an iconic player with the New York Liberty, she was the first player to tally 1,000 points and 1,000 assists in the WNBA. Internationally, Weatherspoon is a six-time Italian League All-Star (1989-1994), two-time Russian League champion (1995,1996), and an Olympic gold medalist (1988). A native of Jasper, Texas, Weatherspoon played for Louisiana Tech University (1984-1988) where she was named to the Kodak All-America Team twice (1987, 1988). In 1988, she led her team to an NCAA Championship and was named the recipient of the Wade Trophy. Weatherspoon was inducted into the Women’s Basketball Hall of Fame in 2010.